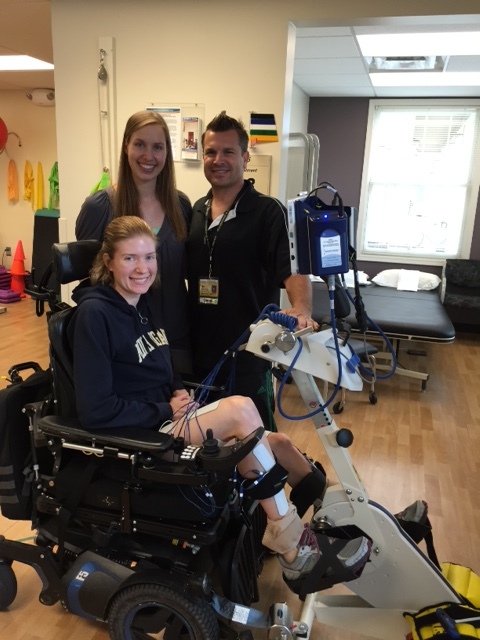 On July 4, 2015, Megan sustained a spinal cord injury at the C6/C7 level. She can move her arms, but her hands are weak and her legs are paralyzed. Megan spent 2.5 months in the hospital for intensive rehabilitation and now continues with outpatient physical and occupational therapy. She has begun to return to work at the University of Michigan Prosthetics and Orthotics Clinic, and will soon be driving with hand controls. With the support of her husband Steven, family, and friends, she continues to work toward her goal of being independent. We are raising money for an FES (Functional Electrical Stimulation) bike for home use. This bike is powered by placing electrodes on her legs to induce muscle contractions in the pattern of cycling. This helps reduce muscle atrophy, reduce leg spasms, and improves circulation. She currently uses the bike at therapy, however having a bike at home will allow her to use it in the recommended 3 times per week without having to leave work in the middle of the day. A second area of need is for a custom, lightweight manual wheelchair. Megan uses a power wheelchair to get around, but there are many times when a manual chair is necessary chair to get into friends’ and relatives’ homes that have steps to enter. The lightweight chair will protect her shoulders and optimize mobility! Megan has chosen to fundraise with Help Hope Live in part because Help Hope Live assures fiscal accountability of funds raised and tax deductibility to the full extent of the law for donors. Donors can be sure that funds donated will be used only to pay or reimburse medically-related expenses. To make a donation to this fundraising campaign, click on the Donate Now button. 1) $7500 to pay off the balance for the standing function on my power wheelchair. I use the standing function most days to stretch out, put weight through my legs, and work out spasms. 2) $20,000 to purchase a functional electrical stimulation bike for home. I have been using the bike once a week through a drop-in program at U of M, but it is only available from 12:30-2:00, which was getting harder to work in with my work and PT schedule. It’s a hefty price tag and I’m committed to using it to prevent muscle atrophy and manage spasticity. Spinal cord injuries are expensive, and I wouldn’t have access to these wonderful therapeutic modalities if it wasn’t for your support. Thank you so much. On June 18, 2016, Roger and Susan Christ hosted a Spanferkel – traditional German pig roast – as a fundraiser and thank you for all of the support following my injury. It was such a great gathering, bringing together family & friends & meeting new people – a huge network of love and support! Thank you all for your generous contributions toward these items that will aid my recovery. I am just so grateful for your support and encouragement. Thank you to all who came out on that beautiful afternoon, and to the local contributions that made the event a so special! To our hosts Roger and Susan Christ, the MC Stewart Christ, to relatives that came from our of town, to neighbors & friends I never met, and everyone who volunteered time and effort: this was truly a special event, thank you so much! 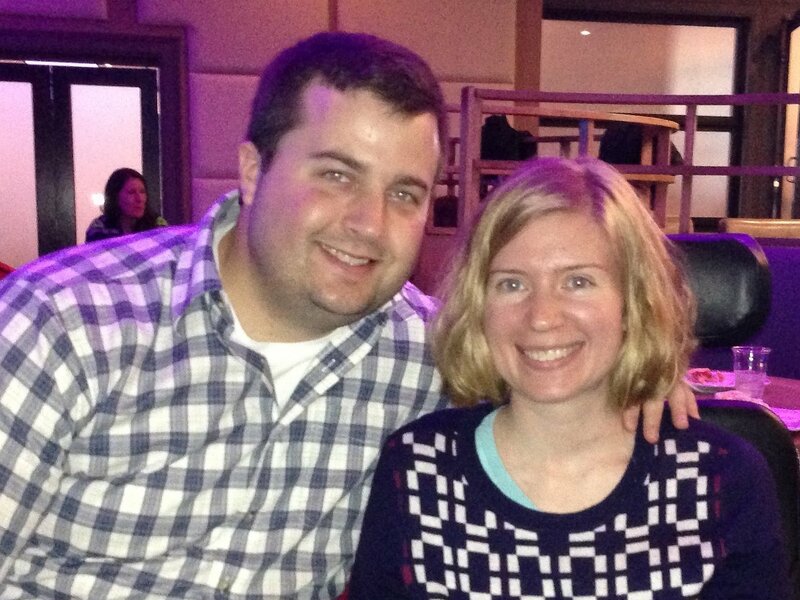 So good to see you at the LeBlanc wedding bash. How kind of you to make the trip. Hope you had fun. Will keep you in thoughts and prayers.